The average coffee maker makes hot water very efficiently but unfortunately the vast majority of them do not have a built in dispenser. This makes it a lot harder to use them for anything other than making coffee. For some people this is fine but in a house full of very different people I find that hot water dispensing coffee machines are invaluable and used far more frequently than one might expect. 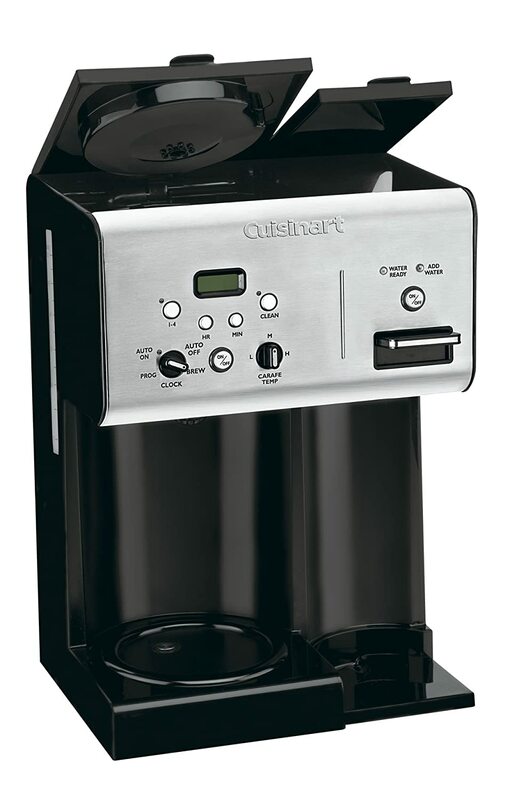 I have been using a good Cuisinart for a long time now; it’s got an independent hot water system on the side which is frequently used to make tea or oatmeal in the mornings. It works great for us but there are actually a bunch of other coffee machines that make hot water on the side too. If you are looking for a great new coffee pot for you home and you want it to be able to give you hot water on demand then check out the list below where we’ve reviewed your five best options in this space. You are sure to find something that fits your budget as we’ve looked at all machines from various price points. As I just said, it might actually be pretty hard to find a model with a hot water dispenser feature. However, it’s not impossible if you’re not afraid to search a bit. Fortunately, we did just that, for you, so that you can save your time. This model is actually super automated. You can program a lot of things ranging all the way from the temperature up to the shut off. This model gives you three temperature settings (low, medium, and high). Of course, this model has the hot water dispenser feature. 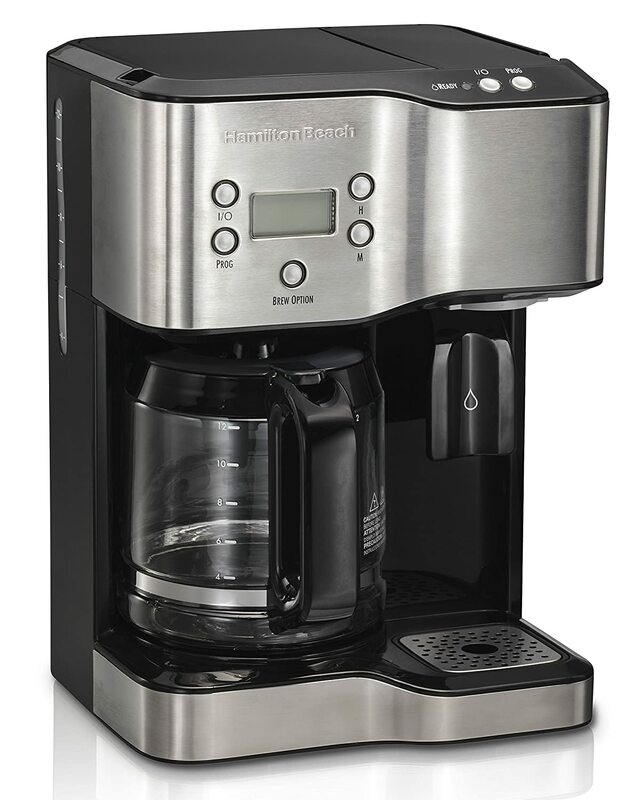 This model has a 24- hour programmability and you can select anything between a 1-4 cup setting, for getting exactly the amount of coffee/hot water you’re looking for. Finally, this model also has a self clean function that comes in really handy at times and saves you the trouble of having to do a lot of hard work or having to hire a professional to do that for you. This offers you a brew strength selector to help you get exactly the kind of brew that you love. This model also has a delayed brewer function, which is basically acting here as a pre-planner for you. You can just select how long you want to delay it, so that you can get the best coffee when you get up or when you reach home. And there are indicators for everything! The Hot Water dispenser has an indicator, as does the self clean mechanism- it tells you when it’s the right time to clean it so that you can keep getting the best-tasting coffee. It can be fully automated. It comes with a digital clock, proper LED display, proper timer and all of those things that let you perfectly plan ahead. 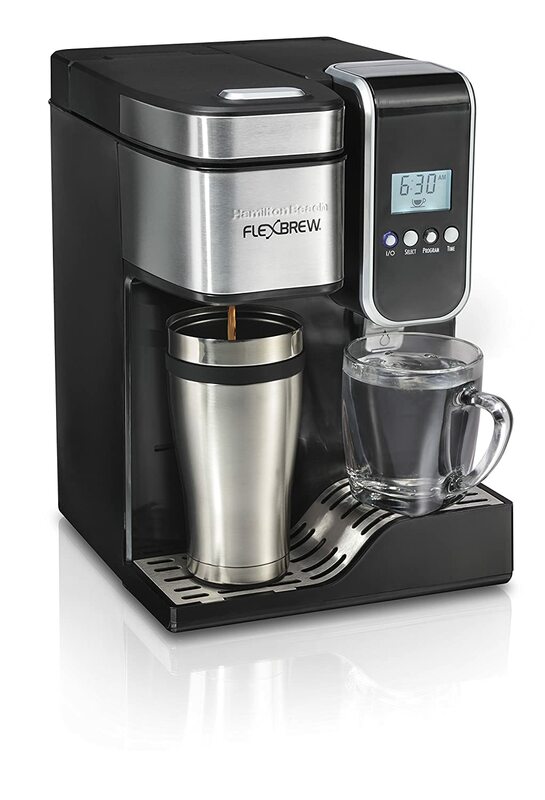 Next in line is the fact that this model has a large, 80 ounce removable water reservoir that ensures that you won’t have to keep refilling after one or two servings of coffee that you make for yourself, like you have to with some other models. Again, this model also is super simple to use as we mentioned earlier. This is because this model, while programmable, mostly works based on a few buttons and it has a proper display system, which is a huge plus for this model. You can use a single serve pack or ground coffee. This model has compatibility with both of them. 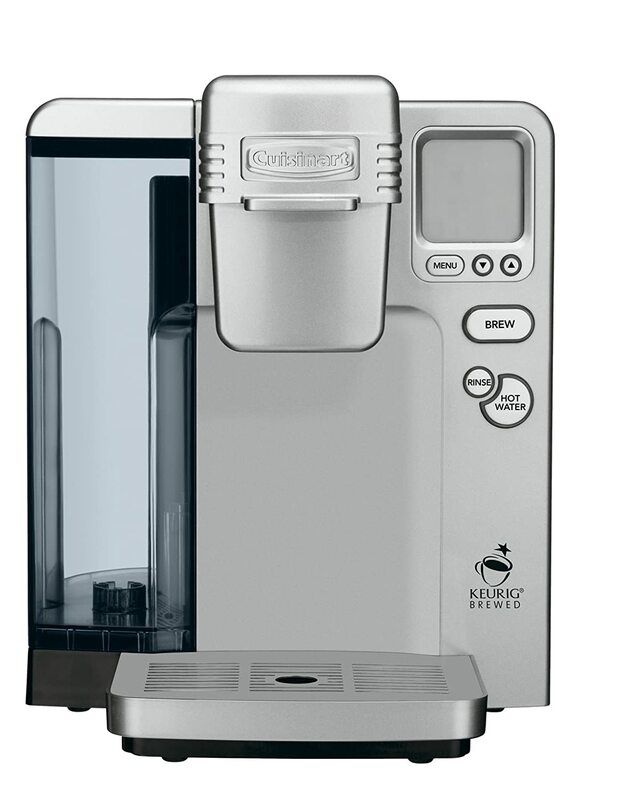 It can brew up to 14 ounces of coffee and dispense up to 16 ounces of hot water at once. If you don’t do anything for about 30 minutes, the automatic shut off kicks in and it turns the machine off, saving you costs in terms of electricity consumption. The security that comes with buying a product from the Hamilton Beach line of products. 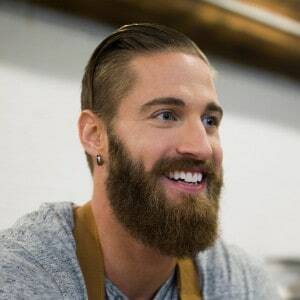 This line of products is known for the best quality products and so you can rest assured that you won’t have to run to the customer service a bunch of times with petty issues. This model can make 12 cups of coffee at once. This model is also not too expensive and so it’s actually pretty much available as an option to everyone, regardless of their budget. If you’re going out to buy a model that has a hot water dispenser, do your research to make sure that the model actually has it. We understand that it might seem obvious, but still, do not forget to make sure that you’re actually getting it. You might be looking for a model that is more versatile. 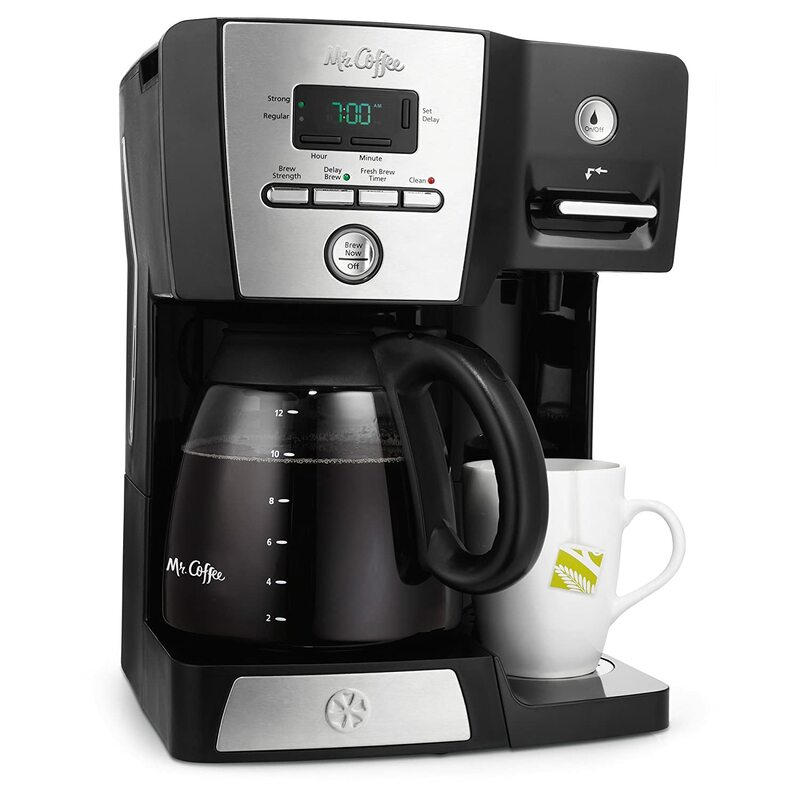 If you only wanted hot water, you probably wouldn’t be looking for a coffeemaker, so might as well find one that gives you a variety of drink options. Finally, you have the keep in mind the economic factor. This is because everyone has a budget and one must always go for a model that fits perfectly in it. That’s why there are companies out there such as Cuisinart that are partially so famous because of their affordable prices. At the end of the day, even if you’re on a conservative budget, you must do your research and only go for that model which fits your budget. It is important to note here that these are the main things based on which we judged the models. However, we can only judge it from a general perspective. Only you can be truly and entirely aware about your own specific needs and that makes it indispensable for you to judge the models by yourself for once. That’s the only way to find the model that is the best for you so we really suggest that you do that before you make up your mind in favor of a model, so that you can be proud of your choice when the results come! Now, while you might be one of the veteran coffee makers who just came here to learn something new or just because too much wasn’t available on this topic elsewhere, there are a ton of questions that might be popping up in your mind at this point. Well, I assure you that it’s perfectly natural and I’d be more than happy to make everything clear to you. However, since you can’t exactly ask me questions here as you would do in a regular conversation, I’m going to answer the most common questions and I’m going to ask you to reach out to me if you have anything more that you want to discuss! There are a lot of things that are important, to be honest. Important things list all the way from features and efficiency up to affordability. But the main things to look for vary based on your needs. Another question that’s really common is that if there’s some company that’s specially better. While there are bestselling companies, there’s no way to say that they are the best by far. The best one for you, as we have already seen earlier, depends on you. However, it might be mentioned that experts often recommend sticking to larger companies because they have a greater validity. So, here we are, at the end of the article. But let’s recall all that we learned today, so that we can actually become smart shoppers and buy the things that would serve us the best! So, the main thing is to keep in mind that the highest selling product isn’t always the best product for us. Our needs might be different and so the best product for us is the one that actually fits our specific needs the best. And that is why we should always do our research before we go out and buy the product that’s REALLY the best for us. Gamble Bay Coffee is here for you and is always eager to discuss anything that you might have to discuss with us. We want you to know that we are always here waiting for you to reach out to us and so you have no reason to hesitate. Looking forward to our next meeting- good day!